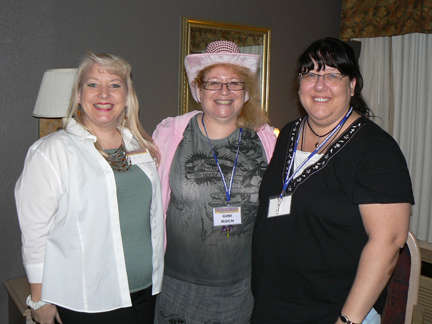 Thanks to Kris Tualla, I just experienced Arizona Dreamin’, one of the most fun conferences ever! 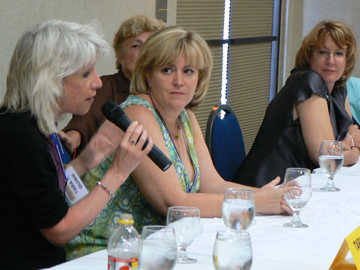 Held June 4, 2011, at the InnSuites in Tempe, the gathering of romance authors and readers was designed as a conference for readers in the off years between the bi-annual Desert Rose Romance Writer’s Association authors’ conferences. Kris, the organizer, did a bang-up job bringing together talent, fun, and an opportunity to share great ideas and stories. Sitting around in various hotel-suite Book Club meetings to hear readers’ love of reading, their pet peeves, comments and questions. Building relationships with booksellers, publishers, authors and readers while hanging around the conference hospitality suite and book store. Listening to the author panels fielding questions about their stories and craft while we all enjoyed a yummy buffet dinner. Learning about ebook publisher Sapphire Blue Publishing, a finalist for the Ariadne Award for Best Publisher 2008; and Dog-Eared Pages, a homey northeast-Phoenix used book store that managed conference book sales. I’d be remiss in not mentioning, also, I was quite happy to sell several of my novels and music CDs. Attendees felt so enthusiastic about the conference, Kris is already putting together next year’s, now annual, event. 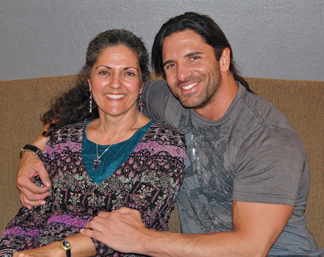 Check out the June 1, 2012 Arizona Dreamin’ event blog. If you want to get up close and personal with authors and to hear about new their books, I highly encourage you to attend. Were you at Arizona Dreamin’? Please share your comments.